Because we all need a little spice in our life! Hello to all my Core Health family.. I had quite a few of your request this one and if you are one of my friends reading this you can vouch for this! With any of my recipes I always encourage creativity, to get there we must have a base! I’ve included my go to Mexican spice mix to enhance what holds many of us back from eating legumes.. the blandness! It’s all about that flavour, within that flavour this is all derived from the combinations of natural goodness within your ingredients, and together they make a flavour explosion! As you can tell I’m very passionate about food, but once you build that nourishing connection and feel the benefits, you begin to understand the importance of fuelling your body correctly! 1/4 of a large pumpkin de-skinned and diced! Line a baking tray with baking paper, and place the sweet potato and pumpkin in the oven to cook for around 25 - 30 minutes! Remember to carefully toss occasionally to cook evenly! Heat a large fry pan with a little oil, add in the paprika, cumin, garlic and onion powder to dry roast to release their flavours! Add in your beans, stir and allow to simmer again for a few minutes! Once your carrots are slightly softened with a crunch, turn off the heat and add in your kale and coriander to cook through the remaining heat within the pan! This will ensure you aren’t over cooking the goodness within the greens! 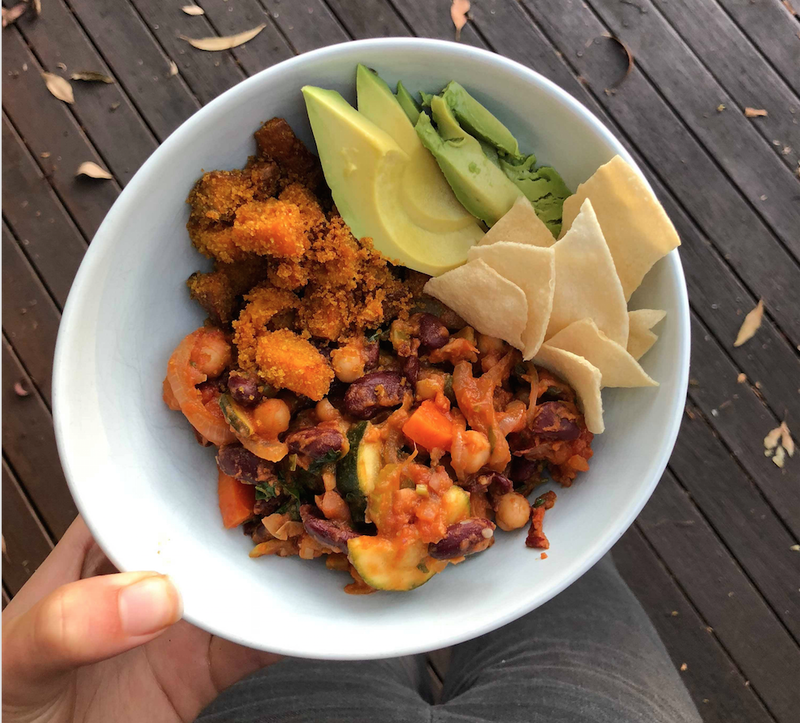 To assemble combine your bean mix, with your crispy pumpkin and sweet potato, top with a little avocado and what ever else tickles your fancy! This will definitely make more than one dish, keep the remaining mixture in tupperware containers for lunches / sides for the week! Enjoy! Older PostPapaya and Mango Smoothie with Raspberry Sauce!